A beautiful smile is a key to confidence in this world of appearing smart and in place. It opens doors for you, and makes you feel more comfortable in your own skin, which shows in your attitude and your work. It has been proved that people, who smile more, usually get the better treatment, be it at their jobs or personal lives. Thus, a beautiful smile is always as important as your skills. However, keeping your smile equally glowing is a job that requires constant care and effort, and in many cases, falls privy to neglect. In these cases where on suffers damage to their teeth and need help with regaining their lost smiles, dental implants in Mumbai are showing the way to a better tomorrow. Dental health is more of a habit than a luxury. It is important to constantly keep your teeth in the best possible care, and identify those things which might harm them. The usual agents of damage in teeth are sticky or acidic food and drinks. Food or beverages with high amounts of sugar or which are acidic in nature, affect the enamel of teeth by reacting with the bacteria present in your mouth to form a sticky coating on your teeth called plaque. This in turn reacts with the minerals in your teeth, eroding them and causing cavities thus forcing you to make a quick run to dental clinics in Mumbai. Due to the cavities, the tooth often has to be extracted, leaving your smile tarnished, and your confidence shaken. Best dental implants are as good as your original teeth, fitting in perfectly and leaving no trace of damage. Almost all dental clinics in Mumbai are equipped with the process of putting in dental implants, and you only need to make a few appointments to get them done. The difference between dentures and dental implants is that the implants don’t need to be taken out every time you have food, which lowers the chances of it becoming loose or getting lost. Dentures also need a lot more care than dental implants. The best dental implants are sturdy and fitted tightly into your jawbone, thus it doesn’t get damaged easily and can be used for considerably longer amounts of time. When you visit any dental clinic in Mumbai, they will determine your need for the implant and the suitability of one on the first appointment. Next they will take a measurement and cast of your missing tooth, to design the implants accordingly. 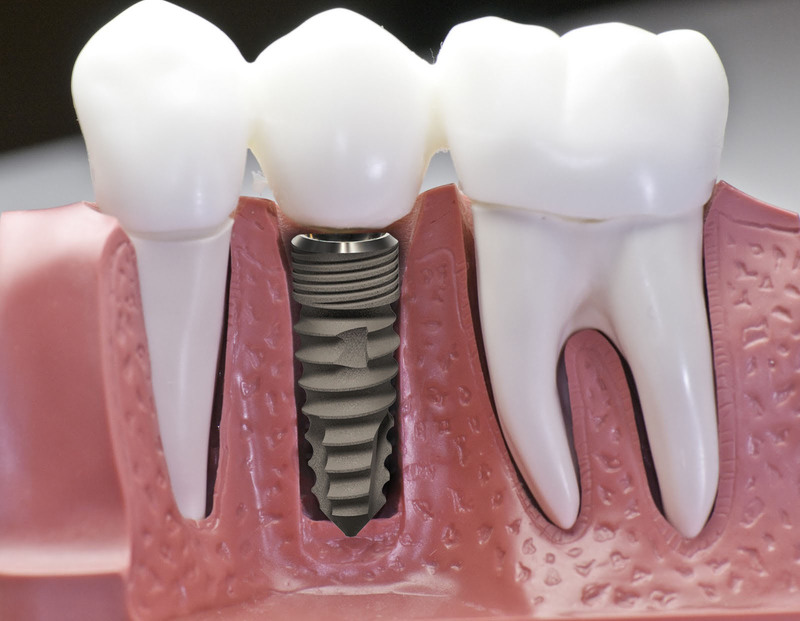 Dental implants in Mumbai are fitted with precise care, by administering local anaesthetic, then inserting a thin metal wire into your jaw, which will hold the dental implant in place. By the fourth visit to the dental clinic, your dental implant is ready and in place. Dental implants in Mumbai are successfully changing lives of lots of people, by giving them their lost smiles back, and making sure they are ready to take on the world, one smile at a time.